Builder and contractor - previously employed at Horwich Loco Works. Father of Joseph William Slater, Chairman of Horwich Urban District Council 1943-44. During the First World War he was Chairman of the fund for the men in the services and also on the Committee of Fall Birch Hospital. He was a Magistrate, member of the Police Court, Mission Committee and the Licensing Authority. 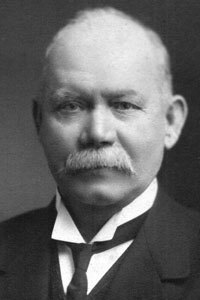 His building company built six churches in Horwich and Blackrod, Fall Birch Hospital, Lord Street Council School, W T Taylor's Victoria Mill, Ainscow's Bee Hive Mills, a number of shops and offices for the Horwich Cooperative Society, and several houses in the town. He was buried at Lee Lane Congregational Church.